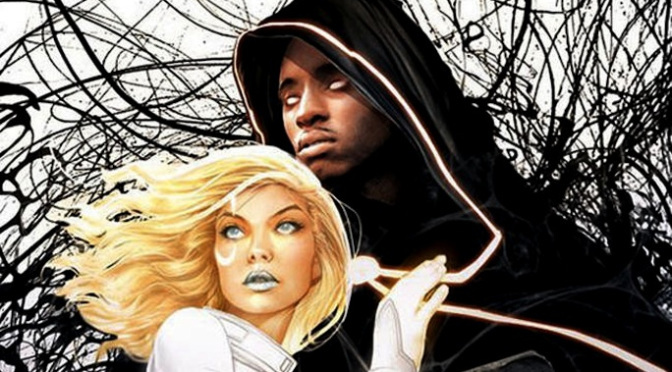 Just about one year ago, we brought you the news of a TV series based on the cult hit comic book Cloak and Dagger, which was coming to the Freeform network. Well, just today, we got our first look at the trailer for this series. In true Freeform style, the trailer looks like it’ll focus most on the actual relationship between our two protagonists, as they find each other after each experiencing trauma at home, causing them to run away. Those of us familiar with the comics know that the two will also develop powers based on the concepts of light and darkness, and we also know that their original back stories deal heavily with concepts like drug use and teen homelessness. Just how hard Freeform will choose to touch on these topics remains to be seen (as they are a family-oriented network), but the scenes shown in the trailer don’t seem to shy away from much. In the trailer, we get to meet Tandy / Dagger (played by Olivia Holt), and her new compatriot Tyrone/Cloak (played by Aubrey Joseph), seemingly as they are just discovering one another. The trailer also shows a bit of the way the two come to trust each other, and grow closer as time goes by. Then we get a glimpse of Dagger discovering a strange new ability she has – to make bladed weapons out of pure light – a revelation which seems to (understandably) throw the pair for a loop. We don’t really see much of Cloak’s ability, however, but the trailer does end with a glimpse of what may come, as we see Tyrone draped in the trademark dark, blanket-like cloak which blots out all but his face. I, for one, hope that we’ll at least get a look at his powers sometime soon, as I always found them fascinating. As excited as I am for Cloak and Dagger, my original concern still holds true with this show. Can Freeform, an almost exclusively family-centric network, really pull off a show based around characters & themes that are, for lack of a better term, patently adult? The themes of drug use, inherent violence, teen homelessness, and inner turmoil are rife throughout the comic book versions of this story. I’m really hoping that Freeform doesn’t choose to water things down too much, or make this show into too much of a morality tale. Here’s hoping that they did their homework with these characters, and that they can do them justice in a live-action television version. Cloak and Dagger is set to premiere on Freeform sometime in the winter of 2018. Check your local listings, or call your cable provider for information on the Freeform network.